Success in golf is measured in many forms. Regardless of where you stand, a particular golf shot may be considered awesome, average, or sub-par. The conditions by which everyone looks at a particular shot is really a matter of perspective. Golf – A Matter of Perspective is an article I wrote at the beginning of 2016 that outlines my philosophy on how golf shapes my life. I still stand by what I said, however, just 8 short months later, I find my perspective evolving. 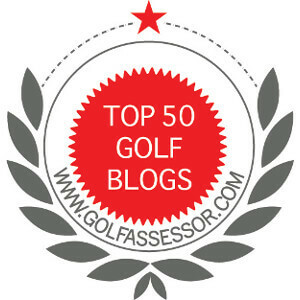 One example of my evolving perspective of golf is rooted in The Grateful Golfer blog. I created this site as a way to banish the dark side of cancer and focus my thoughts on a positive influence in my life. I am happy to say that my intended goal was very successful and after 4 years, I am blessed to still have the desire to muse about golf daily. With continued effort, The Grateful Golfer has grown and I am grateful to have wonderful people, like yourselves, read my ramblings. In the past, I was thrilled when one person would drop by, but now I have set my sights higher. I am hoping for hundreds to visit and hopefully interact with all my viewers. My perspective on writing where I was focusing on my needs has evolved into a community atmosphere for everyone to enjoy! 2016 is a banner year at The Grateful Golfer. My viewership is up and so is the number of daily visitors to my blog. If I would have evaluated such a surge two years ago, I would have been over the moon; today I am extremely happy; in two years, I might be nonchalant. It is really a matter of perspective that is shaped by my journey. Let’s take this idea to the golf course. I play with some who automatically say ‘great shot’ the moment the ball leaves my club. Others are equally thrilled if my ball lands anywhere on the green. And there are those who are a little more discerning, who wait to see where the ball ends up before providing any accolades. I, on the other hand, have greater expectations of my play and would rarely dish out high fives to myself! The varying responses are all a matter of perspective of my playing partners. Many of them have a handicap of 10 – 20. A couple of my friends are in the high single digits and still a few more are equal to my 4 handicap. Just about all, except for the players that have a similar handicap as me, think any shot near to what was intended is a great shot. Well, I have higher expectations and do not feel the same way. After 40+ years of playing golf, my perspective has evolved extensively to: “If I do not hit my ball exactly the way I want, I do not congratulate myself”. However, this is not the recent evolution in perspective that has caught my attention. My evolving perspective is in how I respond to my playing partner’s shots. I used to be an automatic ‘nice shot’ guy without giving it much thought. However, after reading a fair bit this year and talking to more golfers than ever, I find that my approach was not helping anyone. So I have changed. I now evaluate my playing partners skill level before providing praise. If one player is a 20 handicapper, I will congratulate them for hitting the ball straight. My other friend who is a 10 handicapper, playing in the same group, does not get the same accolade. I wait until they actually hit a good shot. My view or perspective on their game is different and as such warrants a different response. The golfer of equal skill as me only receives a few “well done” responses during an entire round. I believe that by modifying my response to the players, they will appreciate my interaction and understand that not all golf shots are worthy of a response. As for me, I generally hit about 4 or 5 shots in an entire round that could elicit a positive response. Regardless of your perspective, it is important to understand that it is always evolving. I fell you are “right on target” buddy. I play golf with a lot of high handicappers, and yes, we cheer each other on – it’s part of the fun. But I also play with a lot of extremely good golfers, and it is quieter – we expect good shots. Oh, we still talk and laugh (after all they are playing golf with me), but we reserve shot comments for exceptional shots. It just seems natural. Wayne. I have played rounds of golf when we said very little to each other about shot making. However, we always have things to talk about that are not golf related. Those are my most enjoyable rounds. This absolutely strikes home with me. My uncle who is a lower handicap close to myself will very rarely praise my shot unless I hit the ball exceptionally well. On the other hand my dad who has a much higher handicap will give me a “nice ball” for anything down the middle. It truly is all about what a golfer expects from their game. While a shot might be excellent for him, it might not be for myself. Interesting stuff as always! Thanks very much. I am glad my perspective was not way off! Thanks for commenting!